It’s never been more important to protect your iOS device and help keep your online data private. 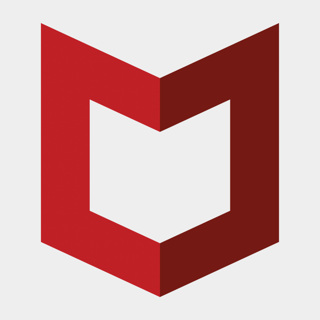 Introducing the all new McAfee Mobile Security app! Now with new premium features including Wi-Fi Guard VPN. McAfee’s Mobile Security software provides you with the ultimate protection for your iOS device by strengthening your iPhone or iPad’s security with System Security Scan, Secure Wi-Fi Scan, Anti-Theft Protection, Media Vault & Contacts Backup, as well as helping you to find your lost or stolen iPhone or iPad using McAfee’s GPS tracker. - Premium users get unlimited Wi-Fi Guard VPN protection to defend against unsecured public Wi-Fi hotspots. - Remove geo-restrictions and establish a secure IP Proxy. - Help to maintain your web security and access geographically restricted content. - Browse safely when connected to unsecured public Wi-Fi by creating your own private hotspot. PLUS package comes with all standard and free features. - Prevent online threats through the safe browsing utility of Safe Web. - Safe Web alerts you when browsing malicious websites, protects you from phishing or ARP Spoofing and helps to keep your personal data, photos and videos private. STANDARD package comes with all free features. - McAfee’s Mobile Security threat scan will detect unsecured Wi-Fi hotspots, Wi-Fi attacks, and out of date Apple iOS. - McAfee’s free Wi-Fi analyzer alerts you when connecting to unsecured Wi-Fi hotspots. - Media Vault enables you to hide private photos in a locked photo vault behind a secure PIN. - Helps protect personal photos and videos if your iPhone or iPad is stolen or lost. - Open Media Vault quickly and safely with Touch ID or Face ID. - Take photos/videos using the app and the entire photo session will be automatically encrypted. - Find your lost device using a GPS tracker. - Activate a remote alarm to locate your lost or stolen device. Initiate an alarm from your Apple Watch to locate your device. - Improve the chances of locating your lost device by saving the location of your device when battery is low. - Secure your private media if your device is stolen and use the app to catch the intruder. - Receive an email with a photo of the intruder and your device's GPS location. - Remotely wipe contacts and clean your device if your iPhone or iPad is lost or stolen. - Backup contacts automatically through the McAfee Cloud and recover contacts from your lost or stolen device. Keep your privacy private and device protected. Life is awesome. Together we make it better. Hi. I bumped your rating up to 4 stars because you now include WiFi VPN in your mobile app. As for the 5th star I knocked off, that is because your VPN doesn’t seem to work with outlook mail from Microsoft. I get a connection issue reaching outlook mail servers and I have to disconnect the vpn services. Also it would be very nice to also use not only a VPN but a Proxy url as well that users could install in the settings app in the WiFi to block certain things as well as create a 1st line of defense against ads. I would also like to see you guys issue a certificate that would then be able to be a profile on the end user as well as have your safe web vpn be adjusted with a feature you had a few years back that allowed users to see and identify the bad websites in real time by the use of a green circled check mark or a red circled Do NoT Enter sign next to each link. I really liked that feature. It’s too bad that was taken away. I will bump back up to 5 stars if these are implemented. I would also like to see a way users could filter out websites based on topic or issue with the Adblock VPN or the SafeWeb VPN or a proxy or certificate for each subject people might want to block that would communicate with the VPN for safe web. Hi, we appreciate your feedback. We’ll certainly share your comments with our development team. Some apps like Netflix, Hulu and Torrent don’t work over secure VPN connections. We would like to talk to you and clarify your concerns in detail. Please reach us at service.mcafee.com. We are happy to assist. I received the following alert from the McAfee App, that my Wi-Fi was under threat & I should disconnect - “1 threat found. Scan complete. [(MY WI-FI NAME)] - Your personal info is at risk, Disconnect Now!” I was uncomfortable about this message using my Wi-Fi name in a pop up, so I called McAfee & they were unaware of why this message was sent. That Representative told me that it was a Phishing attempt & to disregard the ‘email’! She sent me to Technical Support, when I explained that this alert came from the App. Tech Support was also unaware of this message, but after speaking to someone, ran me through disconnecting & reconnecting my iPhone from the Wi-Fi. As I have not had Wi-Fi trouble, there was no reconnect issue. But then, the tech told me that my PASSWORD was weak (it is very strong) & that I should change it. This felt fishy to me. I tried to tell the McAfee Tech that they should check to make sure THEIR APP hadn’t been hacked. I did not feel that they understood. I then called AppleCare to report this. AppleCare does not have an avenue to contact developers about such issues. I am hoping that McAfee will read this review and check their system. I am trying to be helpful here, and I see that someone actually responded to a previous concern. Hi there, Thank you for your valuable feedback. We apologize for any inconvenience that you’ve faced and McAfee will address this at the earliest. Please write to us at Mobile_Support@mcafee.com with your contact details and a convenient time so that one of our representatives will contact you to have this issue addressed. Overall, the actual product is the best in my opinion. Although it takes a bit of finesse to get things organized so you really know your devices are protected using the exact same subscription and its parameters. McAfee needs to streamline this process and let people know to install the software on your Pc FIRST. Then from that Pc, send msgs to your other devices. This way all/everything is in the same place to be administered. If you do not do it this way, it’s all confusing and your list of protected devices won’t be right. Thanks for taking the time to post a review. We are glad you like our product. You can remove the duplicate devices(phone&tablets) from McAfee my account page. We would like to talk about this in detail and address all your concerns. Please get in touch with us at service.mcafee.com. We are available 24/7.